Ruthvik joined Watsi on September 19th, 2016. Two years ago, Ruthvik became the 2302nd member to automatically support a new Watsi patient every month. Since then, 2,790 more people have become monthly donors! Ruthvik's most recent donation supported Johnsley, a boy from Haiti, to fund prep for cardiac surgery. 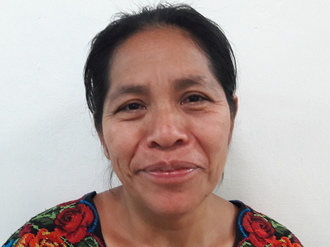 Ruthvik has funded healthcare for 21 patients in 9 countries. Bo is a four-month-old baby boy from Burma. He lives with his family in a village in Hlaingbwe Township, Karen State. Bo was recently diagnosed with hydrocephalus, which has caused fluid to build up in his brain. Without immediate surgery to alleviate the intracranial pressure that the excess fluid is causing, he is at risk of developing severe, potentially fatal medical complications. 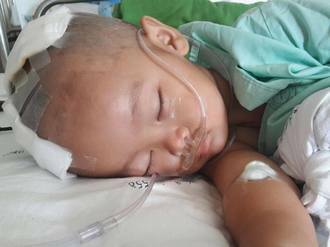 Our medical partner, Burma Children Medical Fund, is requesting $1,500 to fund the insertion of a ventriculoperitoneal shunt for Bo, which will drain the fluid that has accumulated in his brain. The procedure is scheduled to take place on January 17, and, once completed, will greatly improve Bo's quality of life. His mother says, "As parents, we are very worried about Bo's condition. We understand that he will probably have continued mobility problems in the future, but we are anxious to prevent any further complications." “I need your help to support my child's medical needs,” says Mekliet's mother, a woman from Ethiopia. She lost her husband in a car accident when she was six months pregnant with Mekliet. The two now live with Mekliet’s grandmother, and have no income source of their own. Mekliet, who is now five months old, was born with anorectal malformation. As a result, she experiences bowel dysfunction. For $1,500, we can sponsor a procedure on September 21 to repair her condition. This will cover the costs of her lab tests, medications, and one-day hospital stay. Meet Shaniff, a quiet four-year-old boy from Ndumberi village in Kenya. Shaniff was diagnosed with clubfoot of his left foot at birth, a condition that causes his foot to turn inward. To compensate, Shaniff walks on tiptoe, with unstable gait. If not treated, he will never be able to wear shoes or walk for long distances without pain and discomfort. Shaniff currently attends nursery school. There, he loves playing with his friends, but faces difficulty doing so as his foot condition causes frequent falls. On September 5, Shaniff will have clubfoot correction treatment. Our medical partner, African Mission Healthcare Foundation, requests $1,224 for his medical care. His father, a casual laborer at construction sites, and mother, who takes care of the household, cannot afford Shaniff's treatment and are seeking assistance. “I would love to see my son walking well like other children, that’s my joy,” says Shaniff's father. Dohn is a 21-month-old boy who lives in a village in Karen State, Burma with his family. Dohn’s grandparents work as subsistence farmers, his father works as car mechanic in Thailand, and his mother looks after the children. Following a persistent fever and vomiting, Dohn was admitted to the hospital last April. A CT scan revealed a fluid-filled mass in his brain and a possible tumor. Upon receiving the news that Dohn would need surgery, Dohn's father stopped working in order to look after Dohn at the hospital. The fluid around Dohn's brain was drained, but, due to an infection, no further procedure was done at that time. Dohn has now been transferred to our medical partner's care center, Maharaj Nakorn Chiang Mai Hospital, and is scheduled to receive a ventriculoperitoneal shunt on May 26 in order to drain any built-up fluid. Our medical partner, Burma Children Medical Fund, is requesting $1,500 to help fund Dohn's surgical care. With proper treatment, Dohn will be freed of potential cognitive complications and can hope to develop into a strong, healthy young boy. Derrick is a 13-year-old student living with his family in southern Kenya. Derrick is in the sixth grade and loves playing with his friends and expressing his creativity through drawing. Derrick's mother works as a vendor at a nearby market, and his father is a mason. About two years ago, Derrick injured his hand while playing with friends. He was taken to a nearby hospital, where they applied a cast. Unfortunately, Derrick's hand did not heal properly, turning the wrong direction and limiting his range of motion. Doctor's have recommended surgery to correct the condition so that Derrick regains the use of his hand. Our medical partner, African Mission Healthcare Foundation, is requesting $1,165 to fund Derrick's surgery, which will be performed on June 6. Derrick is eager to have this surgery so that he can get back to his friends and his art. He says, “I would like my hand to be treated so as I can continue to play with my friends both at home and at school, I also to advance in my drawing skills." 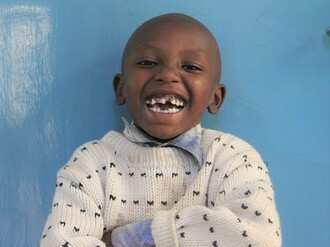 Elvis is a six-year-old boy from Kenya. He lives with his family in Nairobi. According to the staff at our medical partner's care center, BethanyKids Kijabe Hospital, he is sharp, playful, and full of life. Elvis was born with penoscrotal hypospadias—a condition in which the urethral orifice is abnormally placed. If left untreated, he is likely to experience social stigma and impotence. Elvis is scheduled to undergo treatment on March 29. Our medical partner, African Mission Healthcare Foundation, is requesting $700 to cover the cost of the operation. After surgery, Elvis will be able to grow and develop normally. “You are heaven-sent because we could not do it without your assistance," his mother says.